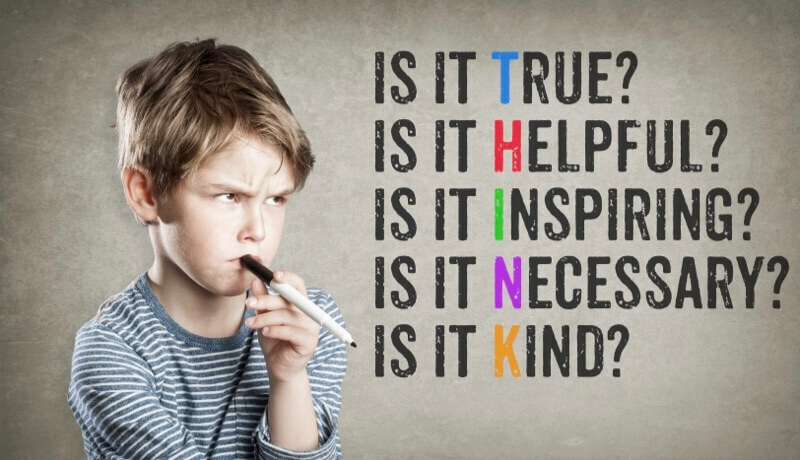 Learning to think critically is one of the most important skills our children can learn. As they grow into adults, being able to think critically will help through all areas of their life. Critical thinking is the objective analysis of facts to form a judgement. It is typically thought of as being rational, problem-solving and performed to a rigorous standard. Through play, children learn so much about the world. What looks like a silly game to adults can actually be a child using complex thinking to solve problems. Children use creativity and critical thinking as they touch, play and use their whole bodies. If your child is facing a problem or challenge, don’t intervene immediately. Allow them to have some time to think and problem solve themselves first. Giving children space to solve their own problems (or at least try to) can help build on their critical thinking skills. Allow your child to have some time to think before they offer an answer or response. It can difficult to wait but giving your child some additional time can really help them have time to think things through without the pressure of time. Try not to ask questions that only require a yes or no response, or that already have the answer for them. Ask questions to make your child think: what would happen if? What do you think? There is no one strategy to teach your child how to think critically. However, if you guide them to solve their own problems and explore the world around them, you can have a positive impact on their problem solving and critical thinking skills.